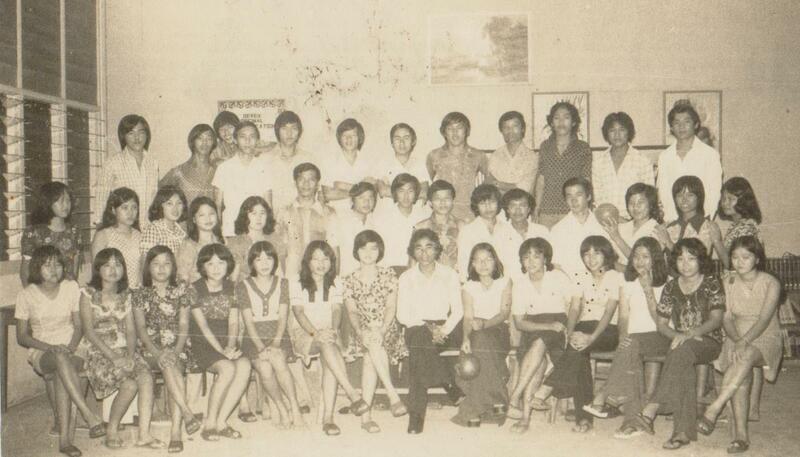 Living the Bintulu story: In the year 1975, a teacher I became. 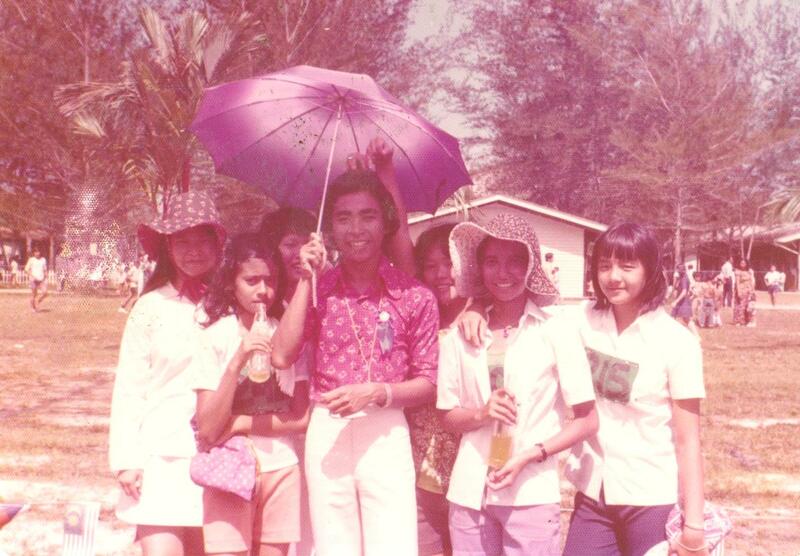 With students at School Sports Day, Bintulu Government Secondary School (BGSS) , 1976. In the year 1975, a teacher I became. It was my first posting and lucky me I was sent to my hometown, Bintulu. As a graduate teacher I taught there for two years after which I was sent to Pulau Pinang to take up a course on educational broadcasting. The two years spent at BGSS were wonderful years spent with young adults since the school was the only one that enrolled Form 4 and Form 5 students from around the Bintulu area. I taught History and Bahasa Malaysia subjects. 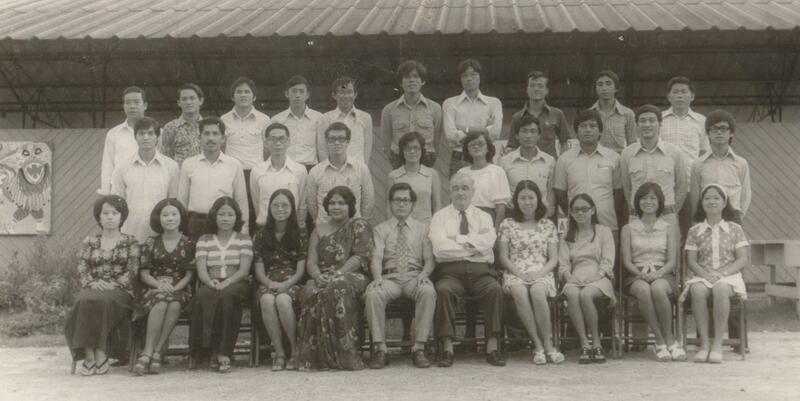 In 1975, the teacher composition was a diverse mix of nationalities (see picture below) - Chinese, Malay, British, Indian, Iban and Melanau. As a young man and teacher, my time was very much occupied with extra-mural activities. I was involved in the Music and Singing Club and was appointed as Teacher-in-charge of the School Library. I trained the students in children's drama, playing the guitar and supervised them during work parties. During school sports day all teachers were kept busy with the organisation of the sporting events because as a tradition the school would invite the town population to watch their children participate in the various field events. 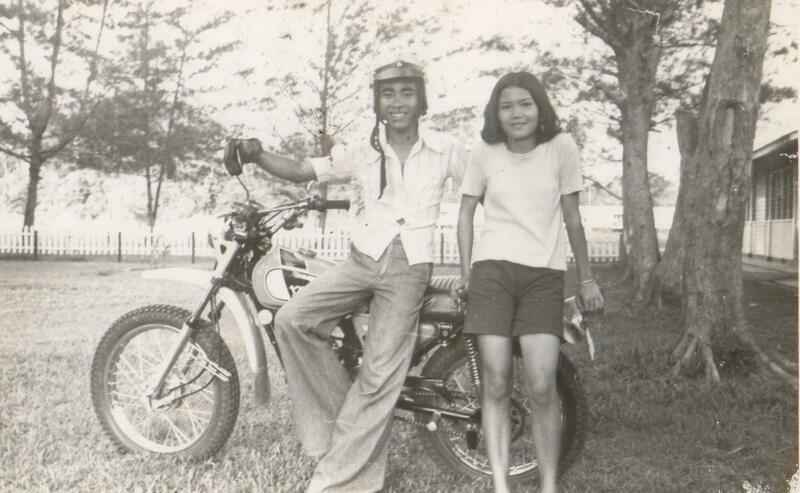 In 1976, I was a proud owner of a Yamaha trail bike, the first ever to be seen on Bintulu roads and used it to go to school, picnics and scrambling along Bintulu beaches. Even though the time spent teaching was brief, it was filled with rich memories, happiness and the rare chance to help students in many aspects of their personal growth and educational up bringing. Morning Session teachers in a group photograph. Father Harry, the headmaster is seated fifth from right( front row). I am second from right (back row). Photo taken in 1975. Teacher -in-charge of School Library, 1976.